Personal Injury Lawyer | Insurance Adjusters – Shamis & Gentile, P.A. Did you know insurance companies spend vast sums of money training their claims adjusters on how to pay as little as possible on as few claims as possible? Any claim submitted to an insurance company is immediately challenged, both in its validity and in the value of the claim. The claims adjuster is tasked with working against your financial interests. Therefore, making it very important for accident victims to obtain legal advice when negotiating with an insurance company. With an experienced personal injury lawyer in Miami, personal injury victims can protect their legal interest in fair compensation for their financial losses. Whether you have been injured in a car accident, slip and fall accident, motorcycle accident, or injured by consumer products, a personal injury lawyer from South Florida Injury Attorney’s can help protect you during negotiations with an insurance company. The first and most direct method of attacking a claim is to deny responsibility altogether. If the adverse party is not legally responsible (“liable”) for causing an accident, then his or her insurance company is not obligated to compensate victims who are injured as a result. This is why insurance companies conduct investigations to determine who was “at fault” for a car accident. Liability is also assigned in premises liability cases, such as slip and fall injuries at stores or restaurants. Private homeowners can also be liable for injuries which occur on their premises. Many claims are denied at this initial phase. Luckily, injury victims have recourse when a claims adjuster denies liability. Often, a denial of liability will require a victim to file a lawsuit, in order to let a judge or jury determine who was liable for the accident. In some cases, the mere act of filing a lawsuit will cause the insurance company to accept liability. Other times, it does not, and the case must proceed to a trial. In either event, the injury victim has the right to let another party make the determination of liability. An initial denial of liability by a claims adjuster does not mean the end of an injury victim’s claim. There are many tactics insurance companies use to reduce the value of a claim. A popular one is to devalue subjective compensation. Pain, suffering, loss of consortium, and other intangible losses are very real and compensable injuries that can also vary greatly from victim to victim. For example, some victims are allergic to certain pain medications or may choose to restrict their pain medications due to pregnancy and must, therefore, endure greater pain and suffering. However, claims adjusters rarely take such considerations into account when making an offer of compensation for pain and suffering. Worse, some insurance adjusters will claim that their defendants are not responsible for triggering pre-existing conditions. This is a blatant misstatement of the law. The “eggshell plaintiff rule” is a general theory of law which holds a defendant legally responsible for exacerbating underlying conditions. The defendant is not responsible for the condition itself, but any additional pain or suffering the plaintiff endured because of the condition is still attributable to the defendant. Unfortunately, many insurance companies attempt to take advantage of the subjective value of pain, and the difficulty in separating the pain of a pre-existing condition to that which is attributable to the defendant’s conduct. Another way in which claims adjusters attempt to devalue a claim is by challenging future expenses. Defendants who have been found negligent are responsible for compensating all future financial losses which are attributable to their negligent conduct. This can include a decrease in the victim’s future earning potential, future medical expenses, long-term nursing care or rehabilitation, and any other costs which are a direct result of the accident. Unfortunately, many of these expenses can only be projected during the settlement of a claim, as they have not yet actually been incurred by the victim. Lastly, a claims adjuster may challenge the cost or necessity of medical treatment which was obtained. Emergency services or surgical care is common after a car accident, but less-traditional services such chiropractic care or acupuncture are often disputed by insurance companies. Again: injury victims need not be bound by an insurance adjuster’s determination of what treatment was necessary. These costs can be submitted to litigation so that a judge or jury can determine whether they were necessary. While litigation can require an investment of time, money, and energy, it is sometimes the only way to achieve a fair result in a personal injury case. With an experienced personal injury lawyer, personal injury victims need not hesitate to reject an unfair settlement offer and submit their cases to litigation. After any car accident, motorcycle accident, slip and fall accident, contact South Florida Injury Attorneys as soon as possible in order to ensure that your legal rights are protected. Whether you have been injured in a car accident, slip, trip, or fall, we will aggressively protect your right to be compensated for your injuries. Call our office at (305) 479-2299 to schedule your free consultation with an experienced Miami personal injury lawyer. 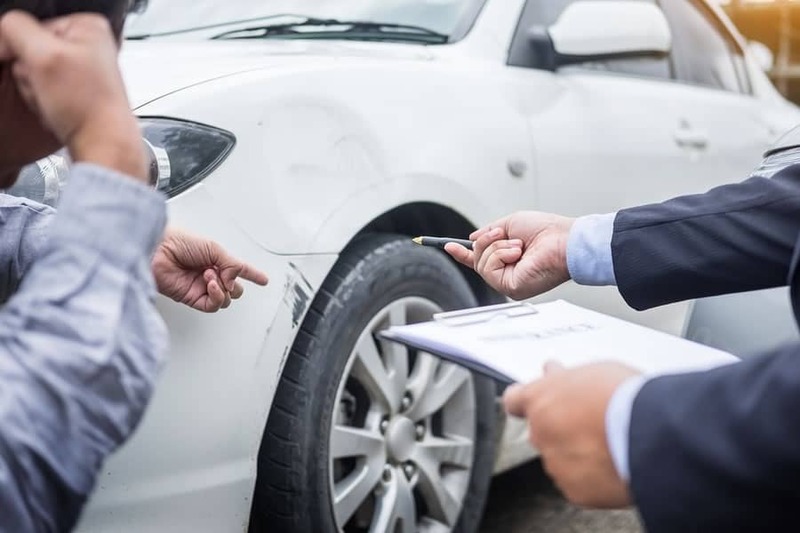 Our personalized service, highly-skilled attorneys, and friendly staff will ease the burden after an accident so that injury victims can focus on their recoveries.